We all know that good things eventually come to an end so on my final day of the festival I stayed alert and awake to catch four more titles before joining the closing festivities in the Roosevelt Hotel saying farewell to many of the new faces I had met and chatted with over the previous few days. Rise and shine and off to the movies……. First up was an eye opener from director Carol Reed. The Fallen Idol released in 1948 and my first viewing. Despite the fact that it was taking place in contemporary England, it has a very Gothic late 1800’s feel to it. Surely this is due to the large mansion that the film spends a good deal of time locked up in. 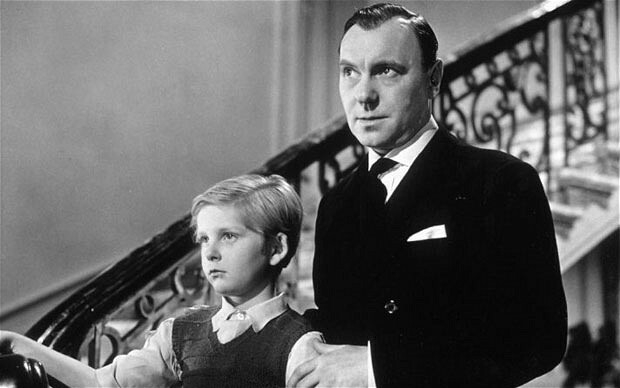 Ralph Richardson stars as a butler working in a foreign embassy who has a wife (Sonia Dresdel) that rivals Louise Fletcher’s Nurse Rachet in the nasty department. Richardson has befriended the small boy who is the son of the ambassador. They spend a good deal of time together and Ralph regales the boy with tales of war and helps him keep his pet snake from his uncaring wife. Things are to come apart when the boy comes across the man he idolizes with another woman. Richardson tells the boy it’s a secret he must keep but through no fault of the boy’s own, Ralph’s wife begins to piece together the truth. Her sanity quickly comes into question. Michele Morgan plays the younger woman caught up in an affair with Richardson. The further the plot goes, the more secrets the boy is expected to keep. His shoulders are quickly burdened not knowing who to turn to once a crime has possibly been committed. I won’t go any further into the plot but highly recommend this title that is both hair raising and quite thrilling at various times thanks to the director’s flare for story telling. I would also be in error if I didn’t point out that one of my favorite British actors turns up as a local inspector hounding those who may be involved in a murder. It’s Mr. Jack Hawkins. Appearing at this presentation was Robert Henrey. It was he who played the young boy in the story. The next two films of the day had three things in common. 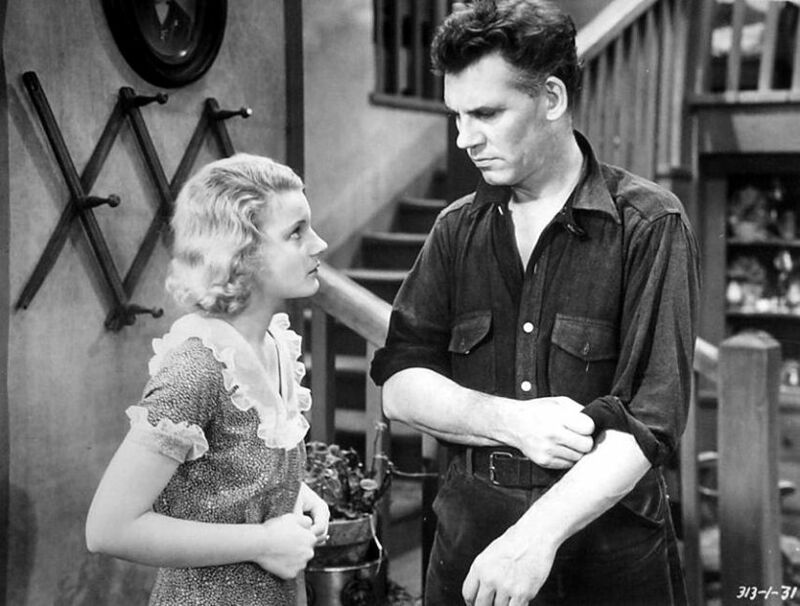 The leading actor was Walter Huston. His son John Huston was a credited writer on both and a young Walter Brennan had small roles in each. I know what your thinking. “Walter Brennan never looked young.” Turning up to introduce the first of these two was none other than Leonard Maltin. 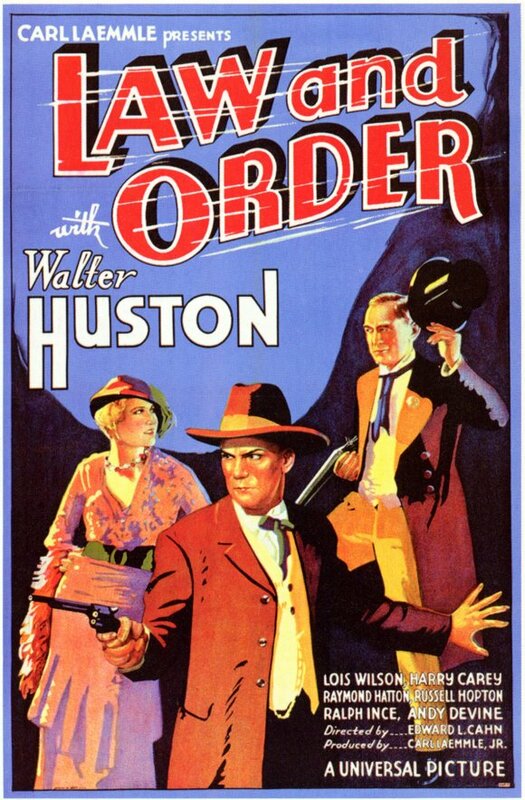 Law and Order is a 1932 release starring Walter in a very Wyatt Earp like role. Along side he has Harry Carey as a Doc Holiday styled gunfighter. They’re enlisted as town tamers who quickly make themselves a few enemies and even Andy Devine turns up as a goofy cowpoke destined for the noose. It’s just a matter of time before Huston declares war on those who would do him and his friends harm leading to a slam bang shoot’em up. For me this was more of a curio then anything else. I say this with all due respect to the cast. I’m just not that big on the early westerns of the talkies. I will say that westerns are my favorite genre overall but not so much the pre 1940’s efforts other than a few noted exceptions. Next up, the Huston team presented me with one of the festival’s highlights. 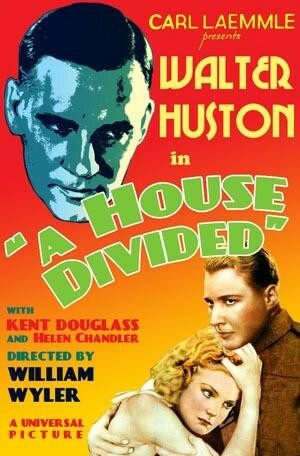 1931’s A House Divided from one of cinema’s best, director William Wyler. It’s a tale of love and jealousy centered in a fishing village that begins with a somber opening. A funeral procession buries Huston’s wife and the mother of his son, Kent Douglass. Huston is an old sea dog. Gruff, wild and far from tame. His son is gentle and wants to move on and find a life for himself away from the village. 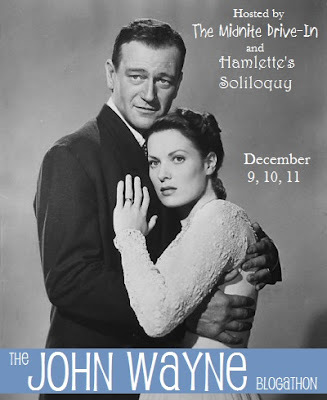 A mail order bride for Huston is going to create sparks in the plot, leading to violence and tragedy. The leading lady is Helen Chandler who comes to the village to become the child bride opposite Huston’s uncouth hard working fisherman. What makes this film so memorable? 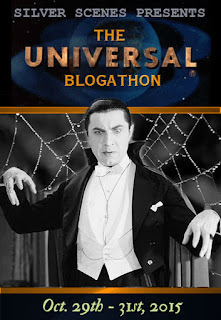 It’s a combination of the great Walter Huston playing it tough in a role that most audience members agree has Lon Chaney written all over it. Saying that seems rather unfair to Huston. He’s dynamite here and even gives us a prelude to his dancing technique that would see him win an Oscar for his old time prospector in The Treasure of the Sierra Madre. For a 1931 release this is an amazing directorial job from Wyler. It’s fluid film making. The camera work is way ahead of it’s time with long tracking shots and the final reel features some thrilling f/x for a 1931 feature. I’ll look forward to seeing this once again. Trivia buffs should know that Helen Chandler was immortalized in another 1931 feature. She’s the leading lady opposite Bela Lugosi’s Dracula. This turned out to be only the second film I’ve actually seen her in and I can’t recommend it enough. In attendance for a few questions was Wyler’s son, David. 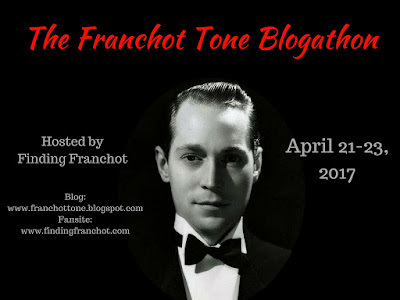 All this brings me to the final film of my journey and another that has rarely been seen since it’s 1934 release having never turned up on TV or home video according to our host Michael Schlesinger. 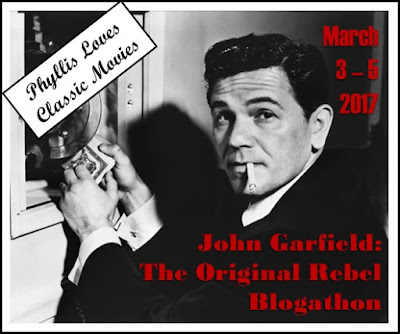 A wonderful adventure with dashing Ronald Colman in the title role tangling with villain Warner Oland (on loan from the Chan series) and trying his best to save Loretta Young from evil tidings. Drummond is a character that adventure just seems to follow and local police chief C. Aubrey Smith expects just that when he finds Colman is in town. This mysterious tale squarely hits the funny bone with Colman in fine romantic form pulling his pal Charles Butterworth along for the ride. Much of the comedy comes from Butterworth who would like nothing better than to get back to Una Merkel on his wedding night and forego looking for missing bodies. 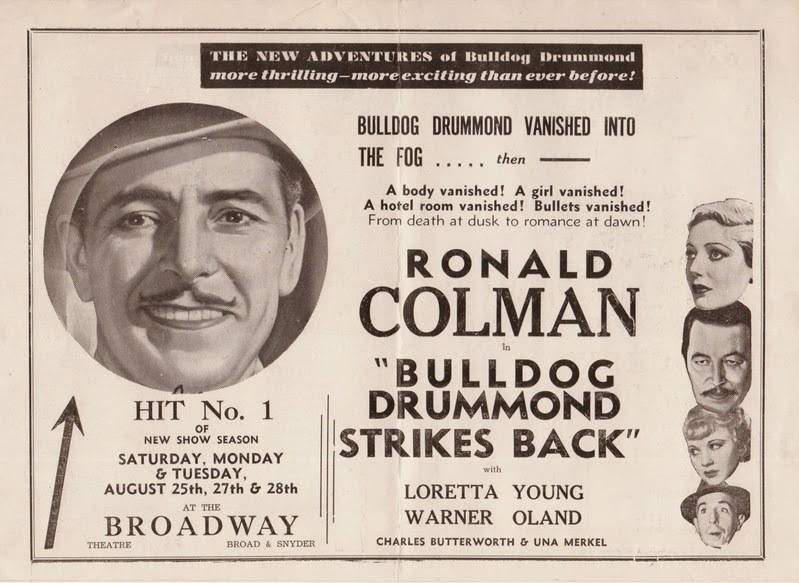 No chance as he and Colman are well on their way to tangling with Oland in what is probably the most enjoyable Drummond film in a series that would see John Howard move into the role for a succession of films after this one. Hopefully this one gets an official release on blu ray as I’d love to add it to my film library. 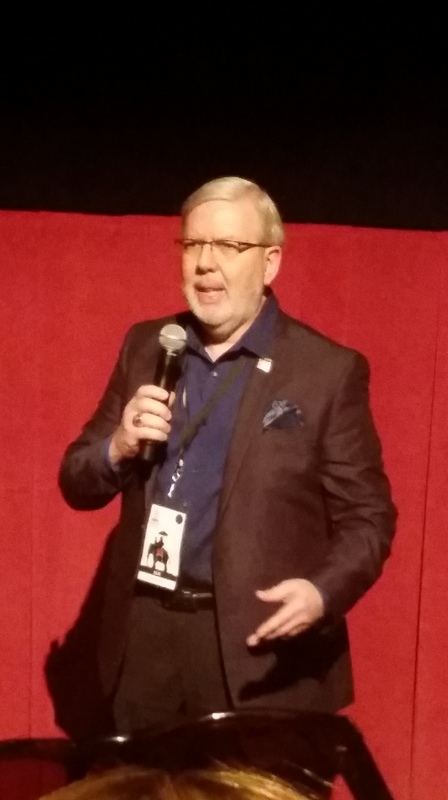 So ends the movie going experience in the heart of Hollywood for the 2016 Turner Classic Movies Film Festival. A quick sleep and an early morning plane trip to Toronto awaited me after the closing festivities. 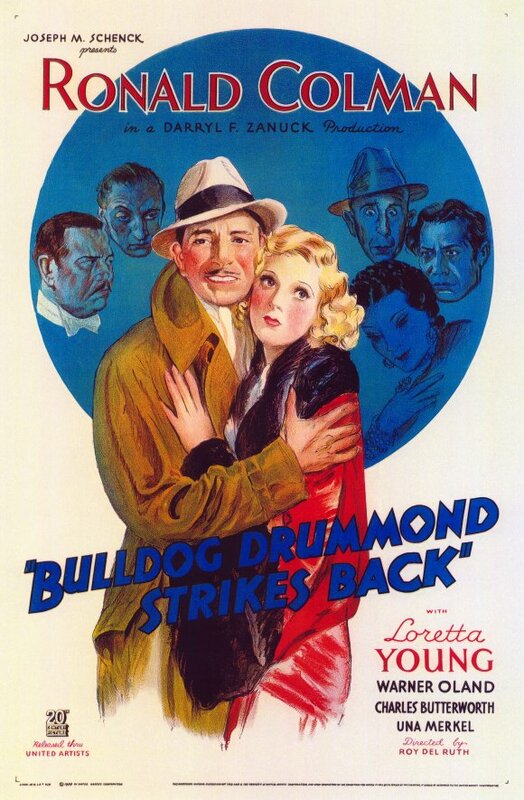 House Divided was excellent, and really enjoyed Bulldog Drummond too, fun movie to finish on. For sure. With all the emotional flicks going on, best we went out with big smiles as opposed to a three hanky job. Sounded like a fun trip, Mike…thanks for the day-by-day stories and photos, I enjoyed reading along as you experienced Hollywood for the first time! Great experience and one that would be nice to relive at next years festival. Maybe I see you there. I’ve been wanting to go…maybe I’ll look into heading out to next year’s festival. 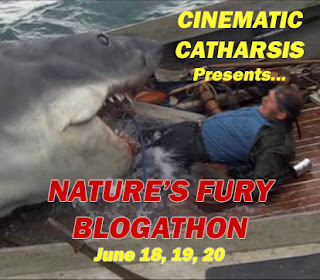 If they have a Bronson/Eastwood retrospective, I’ll save you a seat!